When I was little, one of my greatest ambitions in life was to become a princess. I would spend hours playing dress up, adorning myself in sequined dresses, plastic tiaras, and long strands of beads, fantasizing about leading a life filled with the magical elegance exhibited by some of my very first role models: the Disney princesses. Snow White, Cinderella, Jasmine, Sleeping Beauty, Ariel, Belle, and Pocahontas were the young women I saw fight against the odds and receive happy endings. These were strong, courageous women who stood up for their ideals. They also sang to animals and treated others with respect, while wearing ornate ball gowns and lavish jewelry. Through these princesses, I learned a great deal about morality and regality. Naturally, I also became enamored with the notion of becoming a princess myself, as so many other young girls do. As I grew older, I achieved my goal of becoming a princess. But I was no ordinary princess. No, I was a Jewish American princess (JAP). It was a label that I couldn’t escape even if I tried, because I was born into a world of Jewish privilege. But it wasn’t until my freshman year at my pluralistic Jewish high school that I ever encountered the label. Having never heard the phrase before, I was blissfully unaware of the derogative and ironic nature that accompanied being called a “JAP.” At the tender age of fourteen, I assumed that being a JAP was neither a good nor bad thing, but rather just was. I was Jewish, I was legally an American citizen, and I had always hoped to become a princess, so why should I have questioned the label? What I didn’t know at the time was that girls did not aspire to be JAPs—if anything, they tried to distance themselves from the term. Over the years, JAPs have received a bad reputation, which has thus made many uncomfortable with identifying as one. Stereotypically, a JAP is a relatively high maintenance, materialistic, Jewish girl who lives off of her parents’ money and relishes swiping her plastic. I will be the first one to say that I fit the stereotype, with my moderate control issues and slight Nordstrom addiction. But my unhealthy shopping habits and personality defects are not what make me a JAP. I am a JAP because of my environment and because of my Jewish privilege. Over the past eighteen years, I have lived a sheltered life, surrounded by primarily educated Jews. Because I have grown up in this atmosphere, I have become accustomed to assuming that everyone I interact with has a similarly expansive knowledge base to that of my own, though I know that that is an entirely unrealistic expectation. Not everyone has had the educational opportunities that I have had. Not everyone is bilingual with strong religious and secular foundations. Not everyone possesses such a strong identity, as I have been fortunate enough to acquire. I swim in seas of intellect and engagement, and if that makes me a JAP, then so be it. After all, when did being a princess become a bad thing? Young girls are exposed to role models who display grace and bravery, and then when they grow up, their idols are marginalized and these girls are looked down upon for wanting to be princesses, a goal that many view as snobbish and self-absorbed. At a time when princesses have evolved from damsels in distress into heroines who dictate their own future—with or without a kiss from Prince Charming—one would think that becoming a princess would warrant societal support. Princesses like Elsa and Rapunzel and Merida are not the type of girls who wait around until change occurs. Rather, the princesses of the present affect change themselves. It is a new era for the princesses of Disney. In this new era, the real princesses of the world have also begun to evolve. 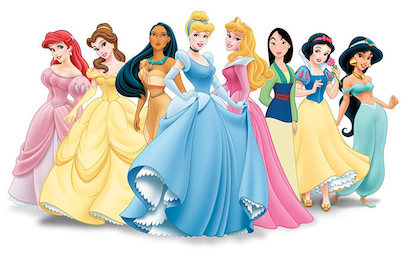 Following Disney’s lead, the Jewish American princesses have also changed, despite still facing social condemnation for a nearly obsolete stereotype. Instead of shying away from being labeled a JAP, the Jewish American princesses of today need to take ownership of our heritage. Being a JAP should be a badge of pride, for it means that despite our peoples’ adversity, our predecessors were able to move out of the shtetl and make it in America. Our ancestors rose above oppression, and we are the living, breathing, existing proof of their hard work. I am not a JAP of the past. While I may still be perceived as “just a ditz with a credit card” (to quote my favorite Jewish American princess, Cher Horowitz), I am so much more than that. I know where I came from, and I know that with my privilege comes the responsibility of representing a new type of JAP. I am a JAP of the present, dubbed a princess not by my materialism, but by my erudition. I believe that I have become the type of princess that my younger self would have aspired to be. While I don’t have a tiara, my head possesses something far more valuable that I wouldn’t trade for even the shiniest crown.